In only two weeks the 2012 Muscatell Ojibwe Forest Rally has already reached our early entry goals. When we started planning this event we didn’t know what interest to anticipate for the limited early entries. We’re glad so many people want to compete at Ojibwe this year. As of June 5th we have 17 entries, which has exceeded our early entry limit. Since we understand many of these entries came in quickly we are allowing all entries received before midnight on June 5th to be paid at $375. After today all entries received before August 4th qualify for the also reduced rate of $450. Entry fees should be paid to paymnrally@cswebmail.com at PayPal. All entries paid before August 4th also qualify for our prize fund. We have mentioned the prize fund in previous posts, but never with any details. 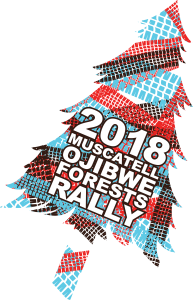 I am happy to announce that with the support of the Muscatell Group, Holiday Inn on the Lake, Davenport Racing USA and Subaru.net we currently have a $1,750 prize fund to award at the rally. How this will be distributed hasn’t been decided yet, but if you want a shot at it make sure to enter before August 4th.